One component, do not mix any catalyst before fill. Clear and colorness liquid resin. Application: Safe laminated glass of windows, doors. 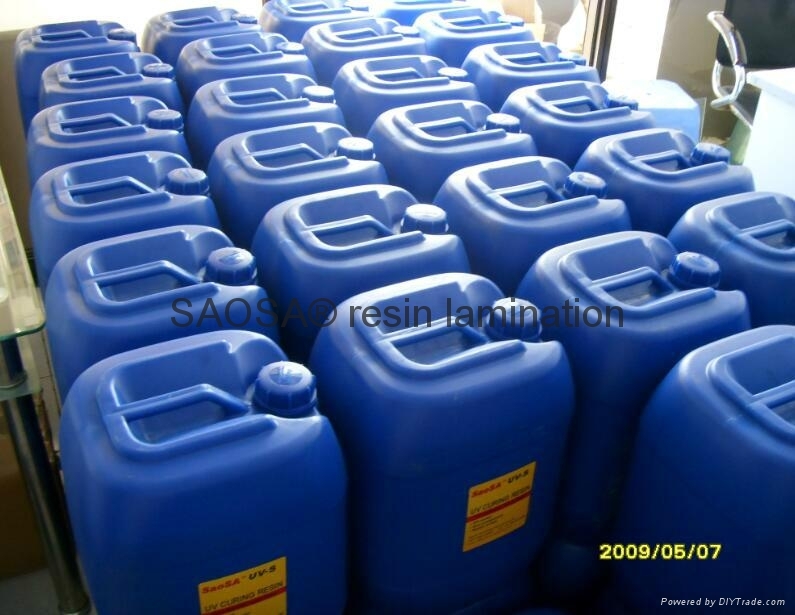 Sample: 2kg/pail, Formal order:25kg/pail or 200kg/drum. Certificates EN 356 P3A P7B, EN 12543-4, EN 12600, EN 1063 BR6 and SGS. Payments: TT, LC, DP, SWIFT.